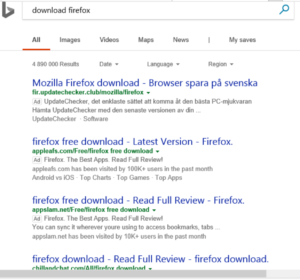 If you hover the mouse over the links on the Google, Yahoo and Bing search results, does sendapplicationget.com appear in the status area of the browser as shown in the screenshots below? 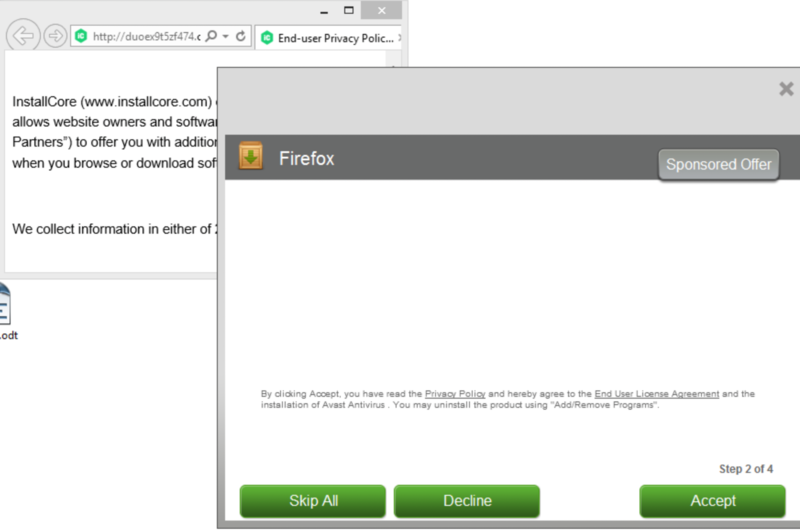 Then you have some adware installed on your machine. 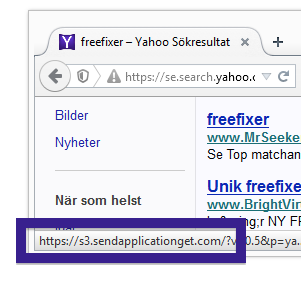 I’ll show how to remove the sendapplicationget.com links in this blog post. 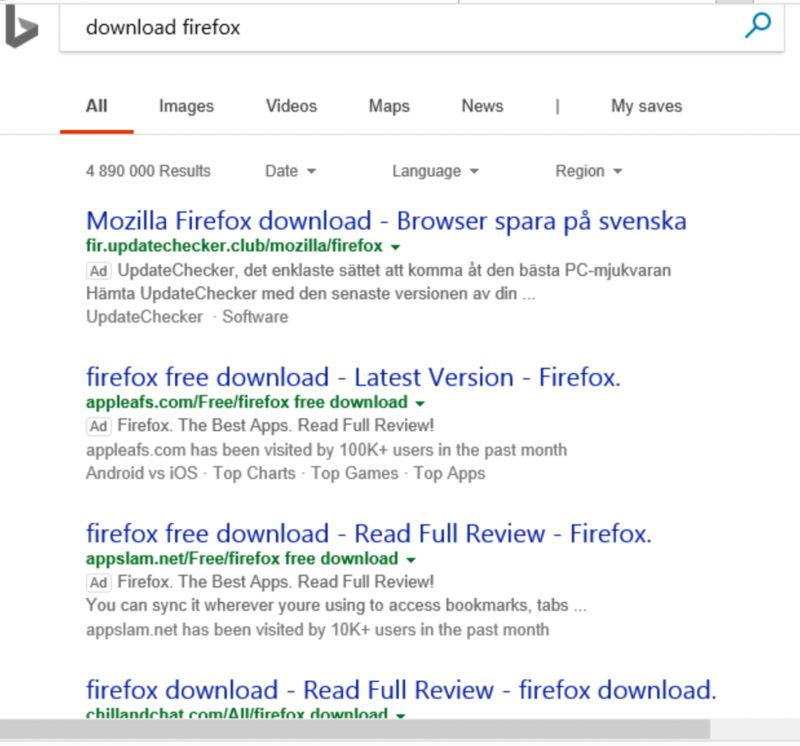 I got the sendapplicationget.com in Firefox, but they can appear if you are browsing with Chrome and Internet Explorer too. 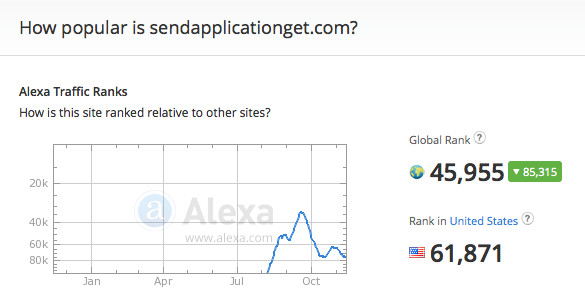 On the machine where I got the sendapplicationget.com links, I had the TinyWallet and BlockAndSurf adware installed. 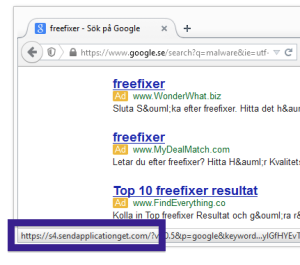 I removed these two with the FreeFixer removal tool, and the problem was solved. 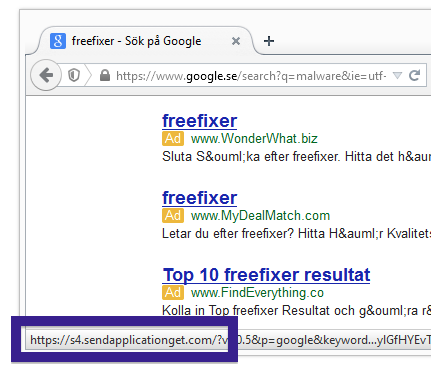 I think that the sendapplicationget.com links can appear due to other adwares as well. 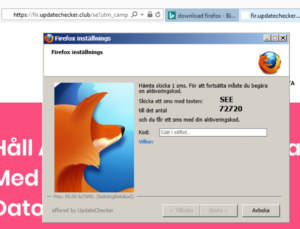 FreeFixer’s More Info links – Click for full size. 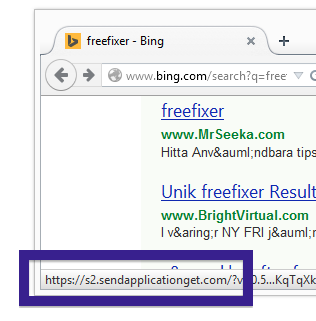 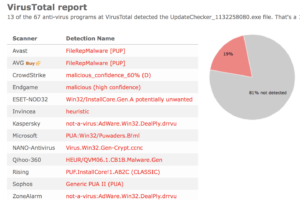 What adware did you remove to stop the sendapplicationget.com links?